Visit Walbran Valley on August 22nd – an update! It’s beginning to look like it will be a very fun day in the Walbran Valley on August 22nd, and quite a number of people have already signed up to join the expedition. If you would like to take part in the organized transportation and haven’t already requested to be put onto the list of participants, please let us know; we will be communicating more details back to you all through an email. 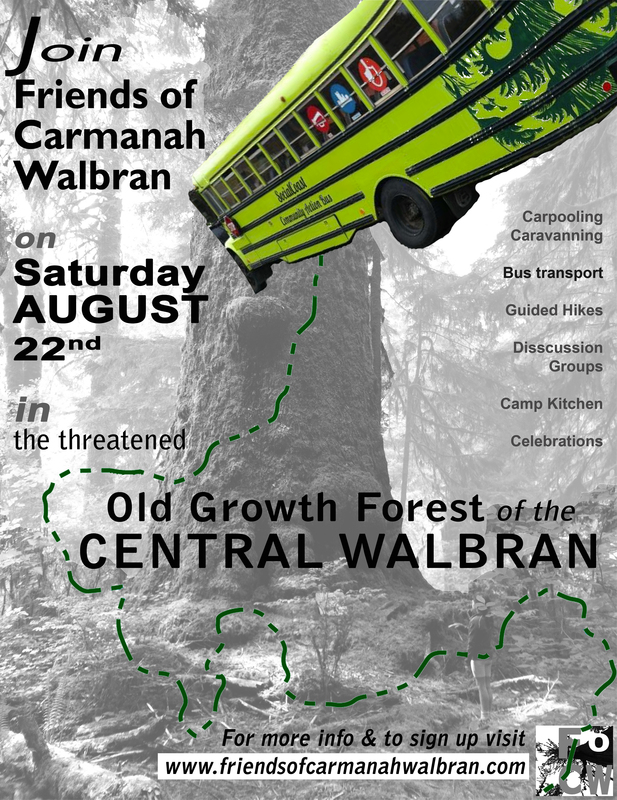 You can reach the Friends at friendsofcarmanahwalbran@gmail.com, or use the links on our contact page. Of course you are very welcome to simply make your own way to the valley on Aug 22nd, but if you can drop us a line to let us know you are doing so, you would be welcome to join us for snacks and all organized activities. We would also love it if you could participate in the carpool – we are always in need of more drivers.